Enjoy the top 2 famous quotes, sayings and quotations by Annalee Skarin. 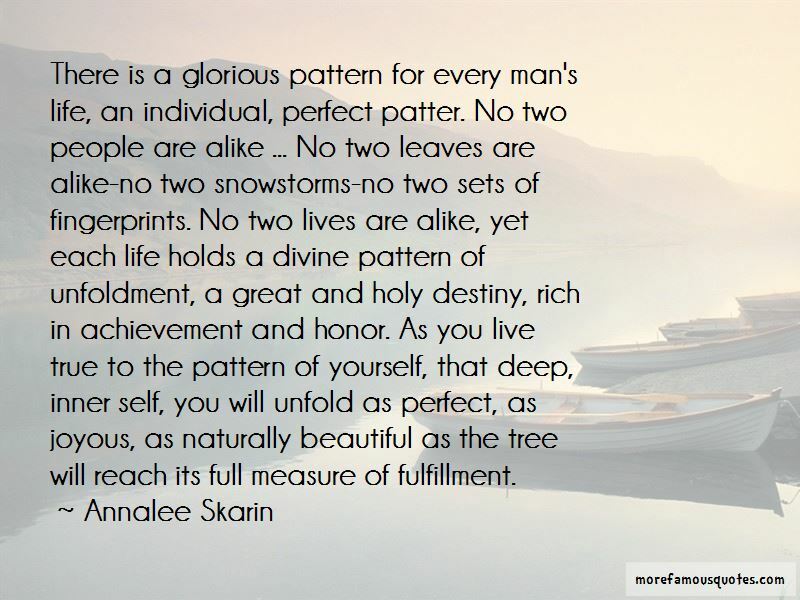 There is a glorious pattern for every man's life, an individual, perfect patter. No two people are alike ... No two leaves are alike-no two snowstorms-no two sets of fingerprints. No two lives are alike, yet each life holds a divine pattern of unfoldment, a great and holy destiny, rich in achievement and honor. As you live true to the pattern of yourself, that deep, inner self, you will unfold as perfect, as joyous, as naturally beautiful as the tree will reach its full measure of fulfillment. Want to see more pictures of Annalee Skarin quotes? 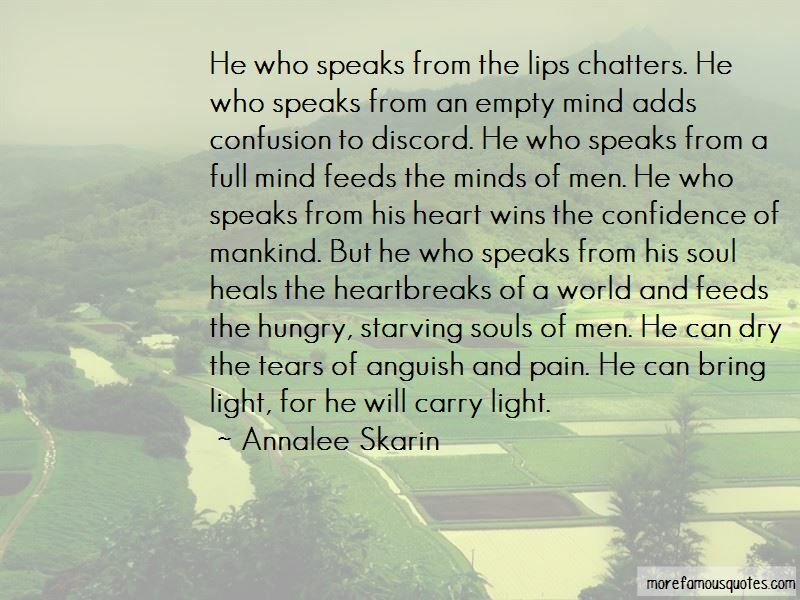 Click on image of Annalee Skarin quotes to view full size. “My first trip to Japan, in 1998, began with an enormous crowd of Japanese paparazzi and television crews, all waiting for me to” — Robert M. Parker, Jr.